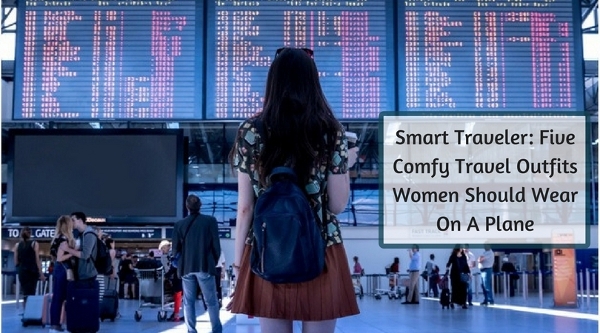 Smart Traveler: Five Comfy Travel Outfits Women Should Wear On A Plane - GoodGuysBlog.com - New, Technology, Marketing, Health and So on. Is traveling one of your bucket lists this new year? Do you plan on conquering all the places you have been dreaming all this time? Will it be your first time? Well, fear not, there are a lot of things you can earn from delving into different places. But before you can attain these benefits, you should know the basics up front. A smart traveler knows how to dress appropriately. It means that you know what clothes or things will make and provide you comfort on the plane. Considering that there are uncomfortable seats and differing changes in the temperature on flights, dressing for air travel is not always simple. For a little help, check out these five clothing ideas below that gives you comfort and style, and are crucial for any backpackers’ wardrobe. Travelling on a plane is sometimes a collection of different climates, from the warm and hot tarmac that induces sweat to the freezing air-conditioned cabin throughout the flight. Thus, withstand discomfort with loads of layers. Bring a cotton scarf that is both washable and vast enough to act as a wrap when it becomes extremely chilly. Light jackets, pashminas, vests, shawls, sweatshirts, wraps, and cardigans are perfect. You can also roll or fold soft items, such as cotton jackets, and utilize them as substitute pillows throughout the flight. Know that wearing more layers, the fewer things you pack in your trunk. Furthermore, those items that help you manage the temperature during the flight comes in handy when traveling throughout different climates. Keep in mind that layers are key for excellent comfort. A lot of doctors suggest and advise that women who are pregnant should wear compression or support socks or stockings in flight. However, compression legwear is also a great option for women with prevalent medical problems, women who travel often, and women who take long-haul trips. The stockings or socks, which help stimulate the circulation of the blood, helps forbid the swelling of your feet, and help protect against DVT or deep vein thrombosis, by embedding pressure on the muscles of the leg and increasing the flow of the blood. You can easily find these items at local drug stores and pharmacies. Also, they are usually obtainable from any travel-supply shop. Have a comfortable and clean in-flight experience by putting on breathable clothes and fabrics. These materials such as linen, silk, and cotton, allows moisture and air to penetrate. On the other hand, materials or fabrics that do not let the air to pass through will most likely confine sweat on the skin, and it will make you feel filthy and presumably requires a spin in the machine upon arrival. Naturally made fabrics are excellent; however, sweat-absorbing fabrics are acceptable options too. When going for air travel, or any means of transport, it is best to wear highly comfortable flat shoes on the airplane. Think about your poor feet after a couple of hours or days of walking, sitting, and standing on the way to your destination. You will also have to choose shoes that are uncomplicated to wear when making your way through the airport security. Know that practicality and comfort are essential and important factors when selecting footwear for air travel. 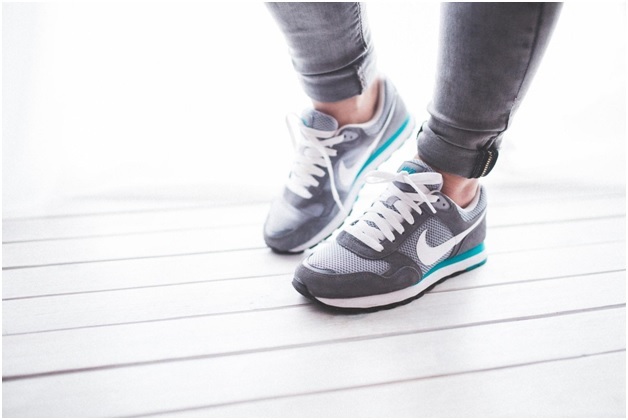 Go for comfortable flats because they lessen the pain put on your lower legs and feet. Make sure that you opt for flats that prevent swelling and other pains. These super lightweight footwears are both appropriate and comfortable for traveling. A jacket and casual dress are probably one of the best go-to outfits for traveling, especially in the hot and summery months. By wearing dresses, you can freely move, and once you reach your destination, you will not need to waste additional time to change your look. With regards to the length, it all relies on what you are most comfortable with, but dresses that’s just right under the knee or longer is great as well. A casual dress in rayon or cotton will make you feel best since these materials enable your skin to regulate moisture and breathe. This type of Women's Clothing is also effortless to pack, requires little or almost no effort, and they can go from fancy to casual much more easily compared to pants. That is why they are the ultimate and the favorite outfit for traveling. Travelling on a plane, either for play or work is problem free with clothing pieces that are comfortable, smart, versatile, and easy care that will take you to your destinations with no trouble. To have a comfortable flight, you will need to wear comfortable clothes. As such you can follow the above outfit list to achieve the comfort you desire.